Chemical packaging excellence with dedication to customer satisfaction. 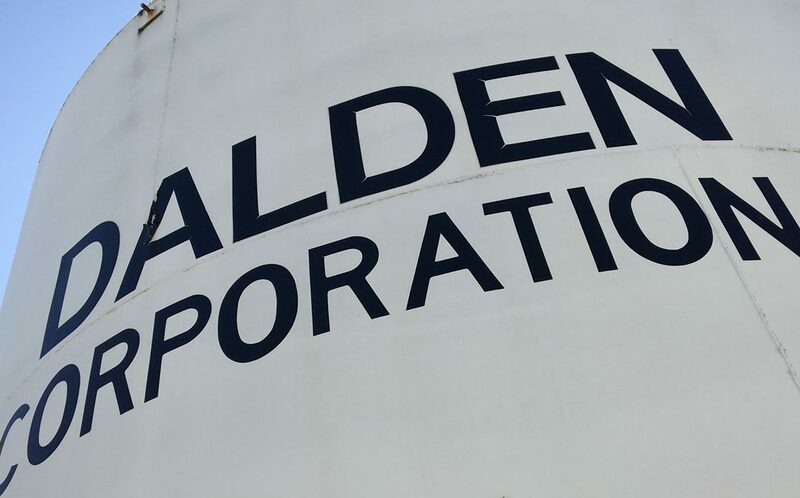 Perseverance and Specialization are Key to Dalden Corporation’s 30 Years in the Chemical Packaging and Blending Industry. Recent surveys conclude that the average lifespan of a small business in the United States is between four to ten years. Southlake, TX based Dalden Corporation recently celebrated its 30th year in business. Being so far above the average is reason for celebration and highlights the firms’ ability to adapt and persevere in the competitive industrial chemical blending and liquid bottling business. Dalden Corporation was formed in 1987 in Southlake, TX and is geographically situated midway between Dallas and Denton. The name “Dalden” is a combination of the city names Dallas and Denton. Since the foundation of the company, Dalden Corporation has been a steady fixture in the Southlake business community. During its early years, Dalden was producing chemical decontaminating agents for the US military and demand was strong due to the Gulf War in the early 1990s. After the war, demand for these chemicals declined and Dalden brought in new management in 2004 to develop and diversify its business. From 2004 to 2007 Dalden found some market niches in the filling of specialized chemical test kits and blending of flammable and caustic chemicals. The company built an explosion proof filling line to accommodate this type of activity and today is a leading filler for flammables. Dalden also expanded its customer base by working with large manufacturers of automotive fluids and cleaning solvents. Many of these customers were looking to scale up their own capacity and outsourcing to Dalden was a simple way to expand production. When the recession of 2008-2009 hit, business for Dalden declined as several of these customers began to bring filling work back “in house” in order keep their own production lines busy. The recession toughened Dalden, and the company persevered and continues to focus on being a third-party co-packaging vendor providing customized blending and filling services of third-party formulations. By working with customers with their own formulations, Dalden can service clients across multiple industries including; military, automotive, personal care, consumer products, aerospace, industrial cleaners and many others. Dalden Corporation has historically served chemical manufacturing companies as a solution to scale up and outsource their production without them having to buy new equipment and rapidly increase hiring. Typically, such a company will look to outsource if they see a surge of filling business from 10-20% above normal. However, if a company sees a surge of 50% or more, they are more likely to plan to build their own capacity for the long term. Over the years, Dalden has developed a reliable ecosystem of material sub suppliers in the Dallas Fort Worth region. This local supplier ecosystem has been an important key to success. Ultimately, contract bottle filling and packaging is about project management and bringing all the elements of a product together. Dalden sources thousands of items from local and regional suppliers of chemicals, bottles, caps, boxes, pallets and many other items. Putting all these items together and shipping a finished product to the destination is the specialty of a contract chemical filling company. The special skills required to understand chemistry and how to package them for stability is increasingly important today as regulations for packaged products are getting more stringent. Chemicals have different characteristics which can have implications on how they react to different packaging materials at different temperatures and environmental conditions. Getting it all right and surpassing the customer’s expectations is what Dalden aims for and will continue to do in the future.